Sulfation of glycoproteins, glycolipis, and proteoglycans is a post-translational modification fundamental to developmental biology, immunology, and neurobiology, as well as disease processes in cancer, inflammation and central nervous system disorders. The enzymes at the heart of biological sulfation are the Golgi compartment-associated sulfotransferases which decorate their substrates with specific sulfated epitopes (sulfotopes) that eventually become exposed to the extracellular environment and comprise novel binding sites for biological effector molecules facilitating cell-cell and cell-matrix communication. 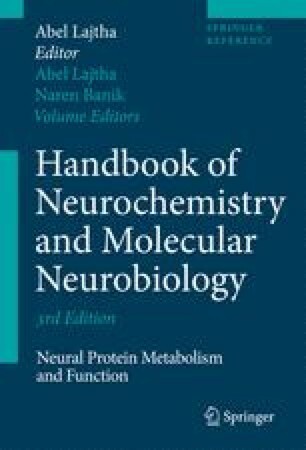 This review discusses a number of well defined sulfotopes with important biological roles, such as found on the ligands for the proinflammatory adhesion molecules L- and P-selectin, on pituitary gland hormones, on chemokine receptors involved in inflammation and virology, as well as on proteoglycans involved in hemostasis, growth factor mobilization and neural plasticity. Regulation of sulfotopes occurs often at the level of the underlying sulfotransferase(s), and in some cases also by specific endo-sulfatases. This review also classifies the human sulfotransferase complement and discusses the potential of sulfotransferase inhibition for novel therapies of important human diseases.